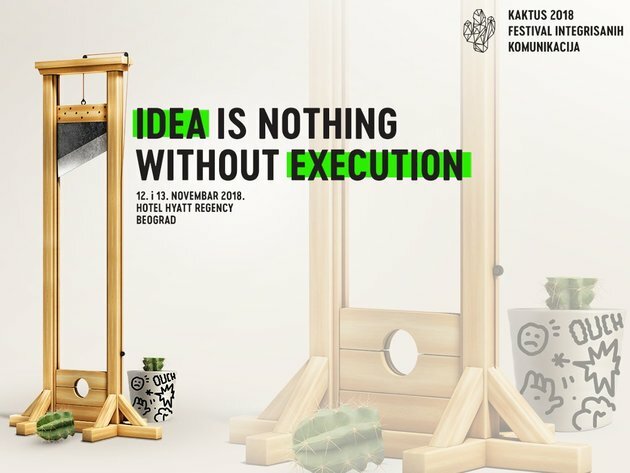 Marketing Mreza is organizing the fourth national Festival of Integrated Communications – KAKTUS 2018 on November 12-13 at Hotel Hyatt Regency in Belgrade, which will offer a varied program from different fields of integrated communications and an overview of the latest global trends. This year's festival will be opened by Marcelo Padoca, Creative Director at David&Goliath Los Angeles (USA). The organizers announce that the first day of the festival will be marked by interactive lectures and sessions of eminent experts from Europe and the world, among which are Harjot Singh, Chief Strategy Officer, McCann Worldgroup EMEA (UK), Gabriela Lungu, Founder, WINGS Creative Leadership Lab (CZ), Michael Maslov, General Director and Partner, Ketchum Moscow (Russia), and Fabien Aufrechter, Lead, Havas Blockchain (France). THINK TANK workshops, as well as a debate on programmatic advertising, will be held on the second day of the festival, organized by Direct Media. The annual KAKTUS 2018 award ceremony will also take place. Awards are handed out in 25 categories, and are won by organizations, companies, institutions and agencies for the best and most professional individual and professional individual and integrated companies in the past year. The winners are chosen by an expert jury consisting of 26 prominent professionals from creative, PR and digital agencies from Serbia and the region. KAKTUS 2018 is supported by 30 media houses from the entire region and companies Mercator S, Marbo Product, Jaffa Crvenka, Sberbank, CAR:GO, AVON, Delta Holding, Zlatiborac, Coca-Cola HBC Srbija, Doncafe, Huawei Serbia and the Orbit brand. Microsoft Serbia is the bronze sponsor, whereas HEINEKEN Serbia, is the traditional friend of the festival. The partners are agencies – Direct Media, Ovation BBDO, Headline, Degordian, DPC Group, SuperDot, Alma Quattro, Smart+ Research, Info Media Group. The festival is also supported by Nova Communications, Led Media B&H, Propix and Chameleon.